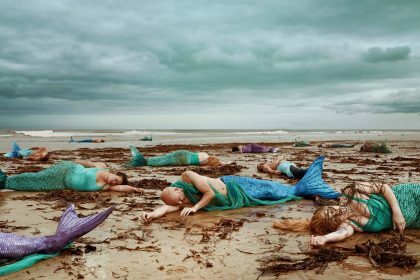 CATHERINE SIMES attended the first day of the third instalment of the international WOMEN OF THE WORLD FESTIVAL in Bradford. The packed-out Saturday programme included BADASS WOMEN OF BRADFORD, WE WILL SHARE YOUR STORY, BEING A MAN, A CONVERSATION WITH MUNROE BERGDOF and I’M BRADFORD BABY, TILL I DIE! 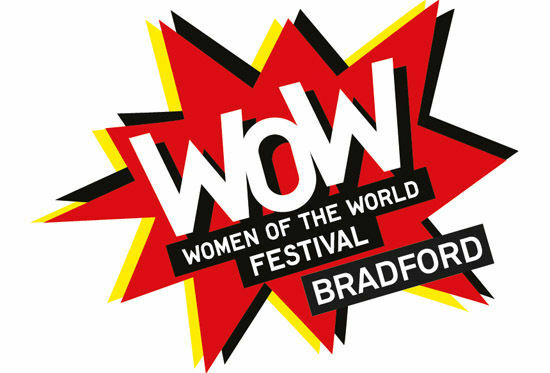 Bradford was once again on the world stage participating in the Women of the World (WOW) festival last weekend, along with other cities from Rio to Perth: celebrating women and girls’ achievements, promoting frank discussions, and confronting the work still we still need to do to achieve gender equality. Saturday’s programme was as diverse as the women on the panels and in the audience. I chose to attend anything with the word Bradford in the title and, as I’m my father’s daughter, a film on football. The day started with Badass Women of Bradford, held in Bradford’s beautiful cathedral and introduced by The Revd Canon Mandy Coutts; “I never thought I’d say badass in here,” she laughed, setting the tone for the day. Local poet Kirsty Taylor nominated Dorothy Heathcote for official badass status, describing her as an educator and weaver of magic. From a childhood working in the Bradford mills, Dorothy became a world-renowned pioneer of drama teaching whose methods, including working with challenging behaviour, ignited curiosity and continues to inspire teachers around the world to this day. Jodie Champaneria spoke proudly of her grandmother Champa who came to Bradford in 1965 from Nairobi with £50, and built a successful sewing business employing and training other women. Despite her own health problems, Champa persisted, and thrived, becoming a much-loved role model for her granddaughter. And finally, putting the bad into badass, Councillor Bev Mullaney introduced community activist Maggie Chapman, a Robin Hood of the ’80s who ran a series of successful campaigns in her Lower Grange community. She employed direct action that’d make you blush! Celebrating strong and challenging women was also the theme of the documentary film We Will Share Your Story, recounting the trip taken by women’s football team Republica Internationale to the West Bank in Palestine where they met and played against local women’s teams. The film was a study in resilience and determination, whether simply living on your land, or for the young women fighting the resistance to them playing a man’s game. To be told “you can’t!” is a powerful motivator. The film aimed to share the stories of people the team met and built upon their previous visit to the region, revealing some of the devastation and destruction caused to homes and community centres in the intervening years. The film will next be shown at the Leeds Palestinian film festival on the 4th December. Were there any men at this festival I hear you ask? Yes! As WOW founder Jude Kelly said, “men and boys are an important part of WOW…we all benefit from a gender equal world”. I was looking forward to hearing a male perspective during Being a Man. Unfortunately, the main speaker had pulled out of the event, and while the remaining panel members shared their experiences, it meant that the session lost some of its focus. While there was talk of toxic masculinity, its meaning or impact on men wasn’t really explored. What had drawn me to the talk was the opportunity to learn how the men on the panel thought feminism had impacted them, and their views on the providing of space for people to be themselves. I would have liked to hear more about how the men felt the constraints of traditional masculinity, if that had changed, and how they had experienced the pressure to conform. This was only explored towards the end of the session, following some pointed questioning from the audience. All-in-all, best quote of the session came from Jack Lynch on gender flipping; “Role models for me are people who are doing what you’re not supposed to”. Feminism in action! Led by the ladies from Brick Box, I’m Bradford Baby, Till I Die! explored Bradford’s negative portrayal in the media, what can be done to counter this narrative, and how we can better control what we say about ourselves. It was interesting to learn that these negative stories are often based on surveys rather than factual information, which of course becomes self-perpetuating – if the press is fundamentally negative about Bradford then it stands to reason that people will think the city is worse than it is. The most enthusiastic contributions came from a group of girls from Holme Wood who spoke about their involvement in a photography project to find the beauty around them. Definitely food for thought for what we can do to insert a bit of context into representations of Bradford and build up self-esteem and pride in our city. The final session of the day was with trans model Munroe Bergdorf in conversation with Liv Little discussing her social activism. She spoke eloquently about using anger and frustration to do something positive, using your talents and privileges to speak out wherever you see injustice. “Let’s not compare struggles” was a strong and thought-provoking message warmly welcomed by the audience. I particularly enjoyed the reaction of the girl sitting in front of me who nodded sagely throughout. Munroe added that it was really important to know where to go for certain energies when you need to feel more positive about the world. In Bradford, that can feel difficult, but the WOW festival was one such place where positivity for the city and its people was displayed with enthusiasm. And the girls! To see so many young women buzzing with ideas, challenging and questioning with such assurance, was fantastic. I wish I had had their confidence and energy at 24, at 16 even – I wish I had it now! It was the sort of day where you leave feeling uplifted, but questioning what you have been doing with your life. Once again, Bradford showed itself to be a hotbed of radical ideas, creativity and solidarity. The sharing of experiences, taking strength from the struggles of others and questioning the status quo. The positive energy of the WOW women is a challenge to us all to make the most of our many talents in Bradford and beyond. Previous Post:Books | When is it Safe to Recommend an Author?